We make 100% natural cooking sauces and share our tried and tested recipes to make African food quick and easy. -grew up on it but not sure how to make it? -eat it at parties but don’t quite know how to cook it? -not want to sweat over it in the kitchen for hours? Then you are not alone and you are in the right place! You can create authentic dishes, quickly and hassle-free, with our cooking sauces and easy-to-follow recipes. 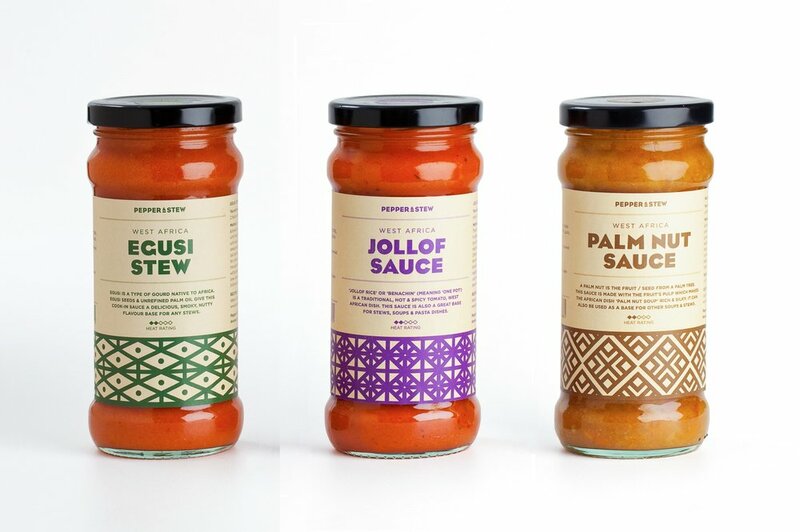 Made to traditional recipes, our West African cooking sauces are distinct flavour blends reduced and ready to make into hearty stews or soups. Checkout our blog for great step-by-step recipe suggestions and get cooking African style. Africa of course, is not a country and there are many mouthwatering dishes to be savoured from every corner of this vast continent. We hope to reflect this delicious diversity as our product range evolves and grows.